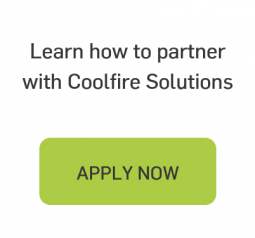 learn how the Coolfire Solutions Partner Program can accelerate your business. Unlock countless real-time operations use cases with the Ronin Platform. Scalable enough to tackle the biggest digital transformation challenges, and flexible enough to adapt to the unique workflows in any industry or application. Innovative companies across multiple industries are implementing Ronin-based solutions. The Ronin Platform presents a unique approach to turn data into action which has already revolutionized the rental car business while capturing interest across numerous industries including Public Safety, Physical Security, Transportation & Supply Chain, Field Service Management, Retail, Manufacturing, Smart Cities, and the Military. Ronin is an open standards-based, data agnostic, device-agnostic platform that leverages the infrastructure and data which organizations already possess to create a common operational picture, support event-driven applications, and deliver true situational awareness. As a Coolfire Solutions partner, you have access to the full capabilities of the Ronin Platform to accelerate your next project and deliver on the promise of event-driven applications. 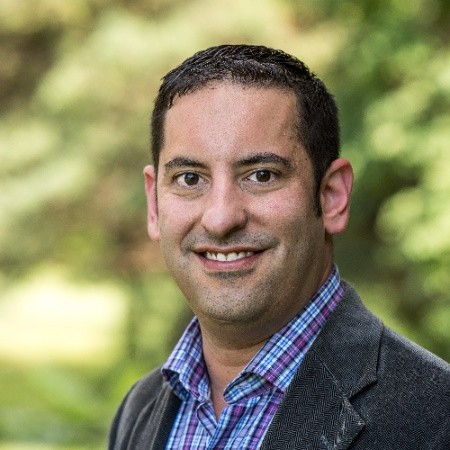 Regardless of where a customer sits in their digital transformation journey, Ronin works with existing IT investments to enhance capabilities where gaps exist without requiring any rip and replace. When building with Ronin, you are able to deliver more value, faster, and with less risk. Start building powerful solutions that’ll impress your client on Day 1. The Ronin Platform helps you accelerate past the infrastructure design process by providing all of the necessary features you need so you can focus your efforts on solving client problems. Stand up an MVP for customers in days, not months. The Ronin Platform architecture is extensible, allowing for iterative deployment and scaled resources. Start solving one problem, then build more over time. The same platform supports hundreds of use cases and hundreds of thousands of concurrent users. Our core development team follows a continuous integration, continuous delivery philosophy. This creates a stream of new and enhanced features for you to build with. Never forced. Take advantage of our latest functionality when you and your clients are ready. Ronin layers on top of an existing environment–you never have to force a client to rip out existing infrastructure. The platform is powered by the existing data in a business and can support new data streams such as IoT, Analytics, and AI deployments. Ronin pulls the data it needs in real-time and communicates back any changes to systems and people effortlessly. Ronin Platform provides 80%+ of the required functionality out-of-the-box to deliver transformative, event-driven situational awareness solutions. “Last mile” customizations allow you to quickly tailor solutions to specific use cases. Unlike point solutions, that lock you into a box, Ronin-powered solutions provide future-proof flexibility. As a lightweight, modern platform built using container-based architecture and microservices, Ronin-powered solutions can be deployed anywhere. In the cloud, on-premises, or on the edge–easily match deployment models to meet customer and performance requirements. Sitting at the intersection of Big Data, IoT, and Digital Transformation, while delivering on the promise of event-driven applications, Ronin positions Partners to have relevant conversations with customers while providing the underlying functionality to deliver rapid results. Coolfire is committed to Partners, possessing a partner support team dedicated to providing you the tools, training, and resources to ensure a long-lasting, successful relationship. Execute multiple use cases on a single platform. Differentiated go-to-market messaging. Solve challenges most organizations have, even if they don’t know it yet. Educating and consulting with customers versus force feeding them point solutions earns you trusted advisor status–and more business. Define and solve one pain point to start, then expand revenue opportunities by solving additional customer problems. Customers using Ronin get inspired and proactively identify additional use cases for the platform to solve. Ask our friends at Enterprise Rent-A-Car. Ronin’s open approach to integration and event-driven capabilities puts a powerful solution in your toolbox. Efficiently build modern real-time applications that “wow” clients with ease. Building responsive apps that operate in true real-time is hard–Ronin makes it simple. Build POCs and MVPs faster with Ronin. Excite your prospects and close deals faster by showing functioning demos that scale and respond. Access our technical support docs, chat with our technical support team, or engage a sales engineer to help bring ideas to life. Use our experiences to translate innovative ideas into Ronin-powered solutions. Our onboarding program gets your team quickly up to speed and our ongoing education program keeps them there. Ronin is just one piece, although a very important piece, of the digital transformation puzzle. Our Partner Ecosystem offers a diverse array of expertise, skills, resources, and technologies to ensure the success of our mutual customers. From consulting to development & implementation, to integration & service, our partners help guide client roadmaps to modernize operations and drive digital transformation initiatives that deliver results. Coolfire partners are key to delivering end to end solutions that help customers realize the full value of Ronin whether that’s through a custom implementation, a firmly defined private-label solution, or strategic integrations. Reseller Partners help customers meet challenges by combining domain expertise with a full range of consultation, development, implementation, and support services to ensure the success of customized Ronin deployments. Our Resellers can help organizations at every step of the process to harness Ronin to its full potential. A select group of service providers, application, hardware, and technology companies that build upon the Ronin Platform to generate a wide range of powerful solutions. Strategic Alliance Partners build a unique, private label solution in which Ronin is a core element. Ranging from vertical-specific point solutions to unique combinations of hardware & software which apply to multiple verticals, the possibilities are limitless. Have a big idea you think Ronin would allow you to rapidly bring to market? Want a Ronin sandbox instance to play with? Let’s talk and build something special together. Coolfire partners with leading hardware and software companies to ensure customers can more easily integrate their existing devices, systems, and data with their Ronin-powered solutions. Developer access & support, cross-promotional opportunities, early access to technology innovations, and more are available to registered Technology Partners. 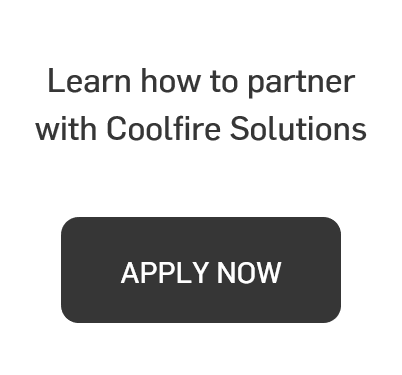 Apply to the Coolfire Solutions Partner Program to get started. Contact a Partner Support Representative at partners@coolfiresolutions.com.